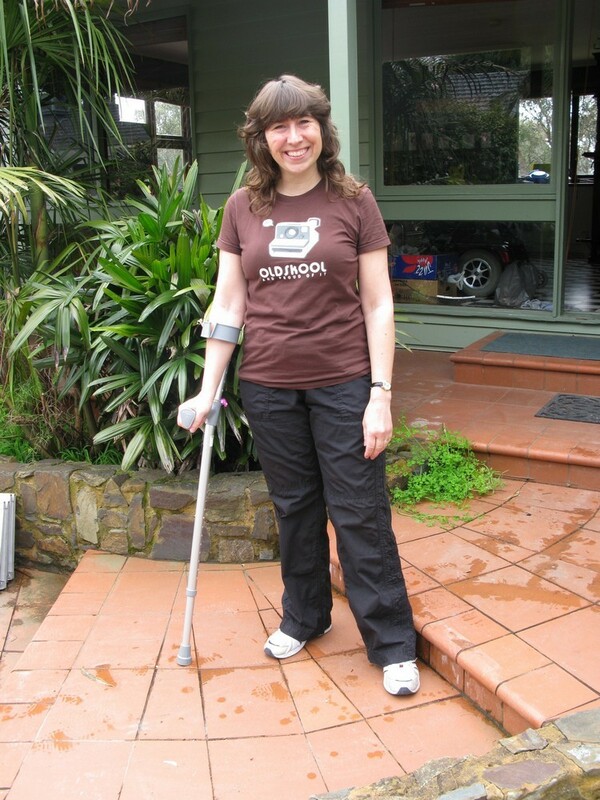 « Blog 225 The Mighty Grampian’s (part 2) 8-9th April 2012. Lastest Crash – Recovery Update 21st September 2012. 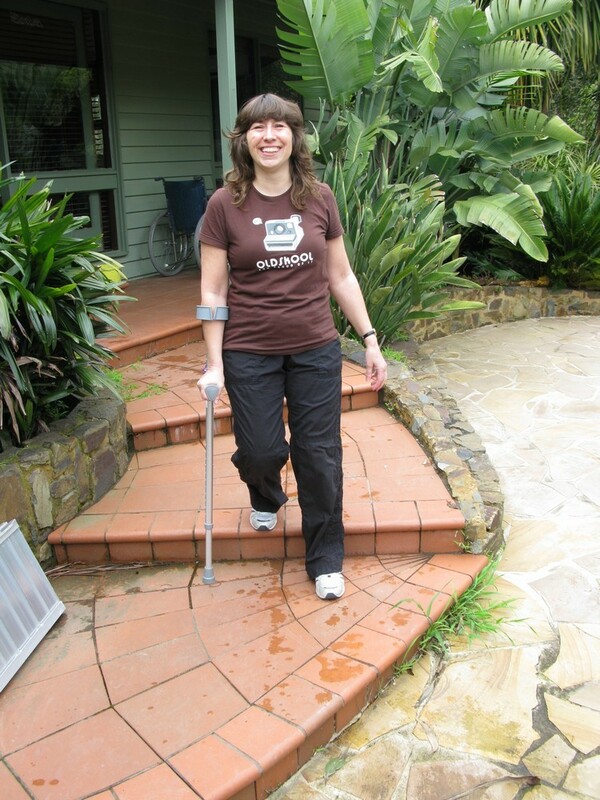 I can walk they do remember what to do, come on legs keep going, don’t stop now………. On Monday Kev and I went to the Alfred hospital in Melbourne’s city centre for my next set of X Rays and consultation with the specialist. 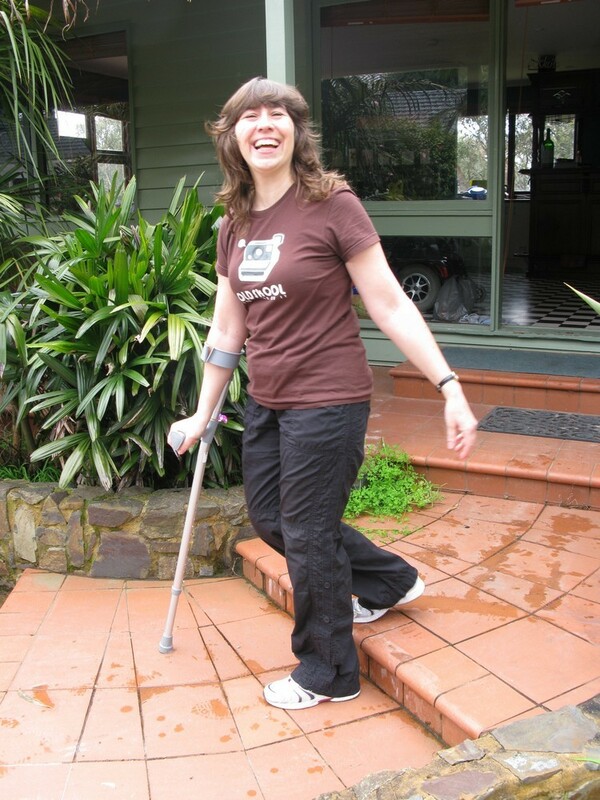 As you have probably gathered the news was the best we could hope for, my pelvic bones have healed enough for me to bear my body weight again (now slightly heavier than it used to be through lack of exercise). It will be a few more weeks until I am 100% but every day I feel a little stronger and seem able to walk a bit further. For ages it has felt like I have been climbing a mountain with a lot of false summits and now I really am on the ridge looking down. My own personal goal of being able to walk by my birthday (24th Sep) really has come true. People ask, how do I feel? initially it felt like my leg was made of glass and would shatter into a thousand pieces if I fell or knocked it. However it’s only been a few days and it feels better every day. 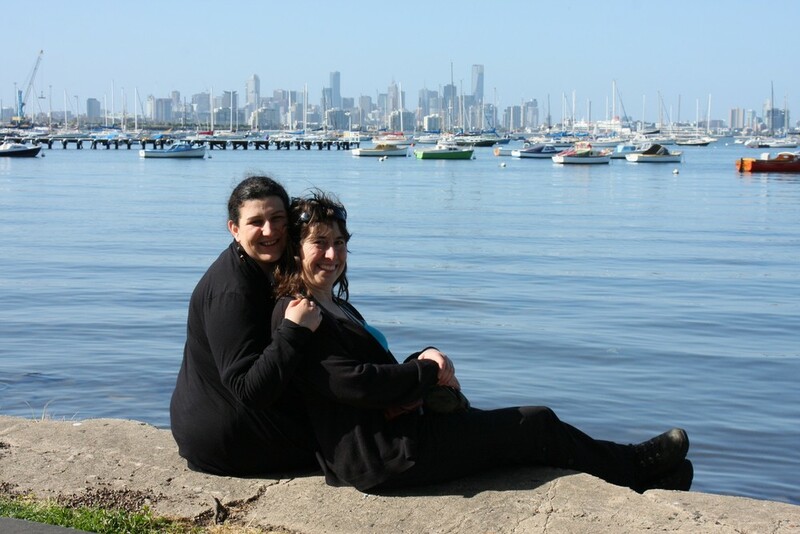 The photo is with my hydro friend Seraphina at Williamstown with Melbourne’s city skyline as a backdrop. It is not all plain sailing from here, my collar bone is not fully healed partly due to the fact I have been using my arms so much. I have another review in two months when they may discuss plating it if it hasn’t healed by then. Hopefully I can fully rest it now I can walk and it will get the chance to heal properly. It looks as though the Aussie’s will have to put up with us a bit longer. 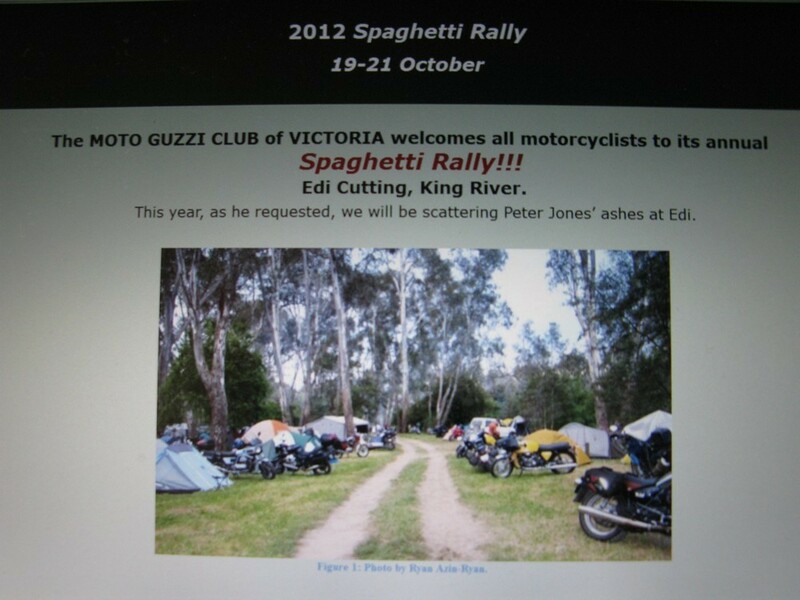 Our next personal goal is to attend the Spaghetti rally in October organised by the Moto Guzzi Club of Victoria. It is not too far away so we want to ride there and camp as a bit of a test to see how I cope. All being well we can then make travel plans again. If it shows up some problems we may have to re schedule but we will get there. There are loads of great day rides we can do from here to get back into riding and improve my stamina. 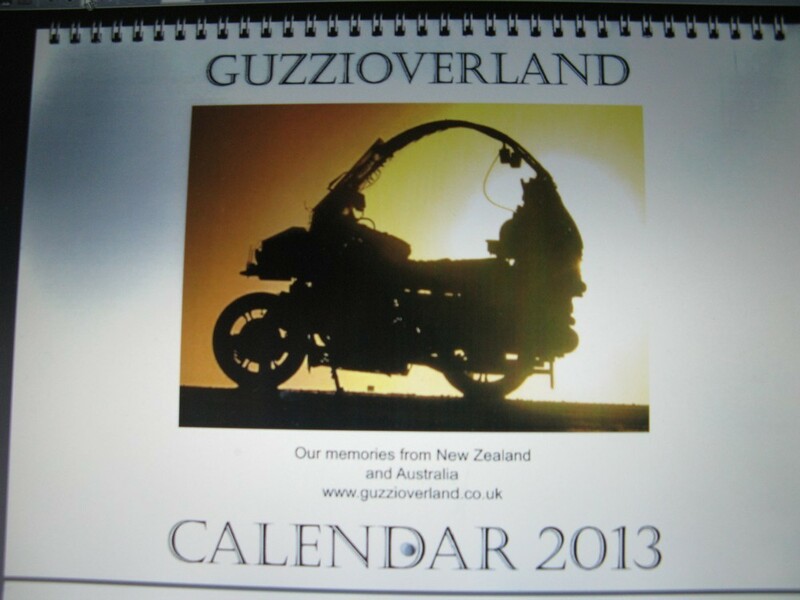 Inspired by the success of last years calendar and to help raise some much needed funds we are pleased to announce our 2013 calendars are ready. It’s a great way to show your support and receive something useful and decorative in return that lasts a whole year ! We have fought to keeps the costs down and this year they will sell for less than last years. We have chosen the photos to represent the Oceania leg of our journey, the calendars are A4 opening out to A3 when hung with 13 full colour pictures. We will have a delivery to Australia in the next couple of weeks so we are taking postal orders now ($20). They are already available in the UK (8.50GBP) and obtainable at Moto Guzzi Club rallies or you can order from us direct, by clicking on the contact us button on our website or facebook and sending us a message. Please include your name, address and recipient if different, plus the quantity required together with how you would like to pay either in Australian dollars or GBP so we can reply with the relevant details. Payment methods are cheque, Paypal direct or direct bank transfer to either UK or Australian banks. 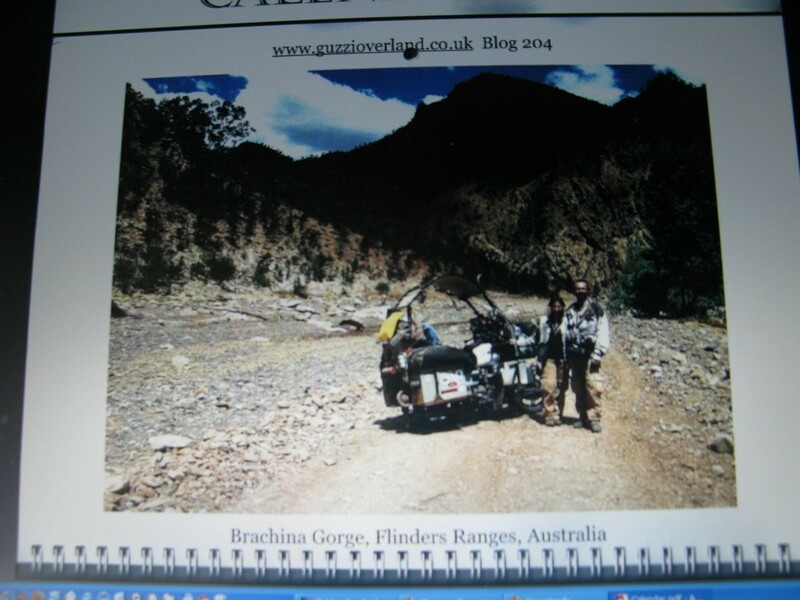 There are also instructions about how to order in Gambalunga, the Moto Guzzi Club UK magazine. Thanking you in advance for supporting us and keeping us on the road. Next Up: – Back to the blogs leaving the Mornington peninsula for our last leg to Canberra before heading back to Melbourne to ship to South America and our accident. This entry was posted on September 21, 2012, 4:52 am and is filed under On The Road. You can follow any responses to this entry through RSS 2.0. You can leave a response, or trackback from your own site.